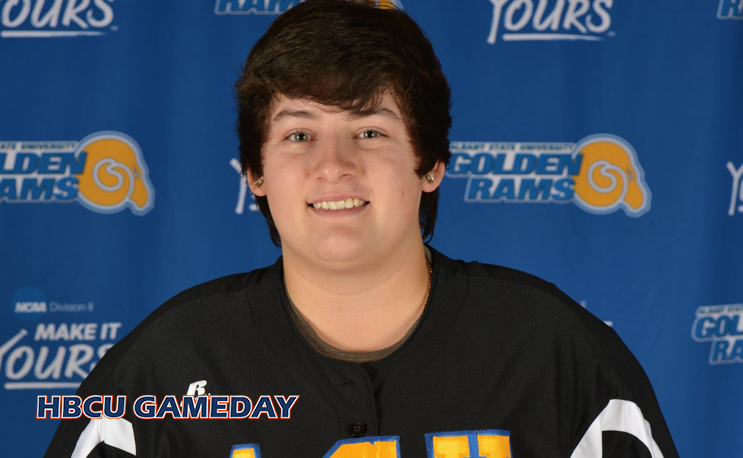 ALBANY, GA- Albany State University’s Aryn McGowan tossed a perfect game in the Golden Rams 22-0 shutout of Paine College on Friday afternoon at West Campus Field. McGowan faced only fifteen batters on the afternoon, striking out eight in route to her tenth win as a starter this season. In the first of their three-game series with the Lions (3-15, SIAC 0-14), ASU put the game out of reach early by scoring twelve runs in the bottom of the first inning. Paine committed errors in all but one of their four innings on defense for a total of seven on the afternoon. Four Golden Rams put up doubles in the contest while Lavette Tucker and Jala Stewart both rang in with a triple. ASU, who posted a total of 17 hits, improves to 19-19 overall and remains perfect in conference play at 14-0. The Golden Rams will wrap the series and celebrate Senior Day on Saturday in doubleheader against Paine beginning at 1pm at West Campus Field. Fort Valley State brings a broom on Saturday night.